BICMR is located on the campus of Peking University，which is known as "Yan Yuan"（the garden of Yan）. It is situated at Haidian District in the western suburb of Beijing. It stands near the Yuan-Ming-Yuan Garden and the Summer Palace. BICMR is on the north shore of the Weiming Lake on campus. Its main offices are spread in seven buildings with yards in Chinese classical style. Find where we are in the campus of Peking University in the right map. Whenever you get off from an international flight at the Beijing Capital International Airport, or arrive in Beijing at a train station, you could easily get to Peking University by taking airport shuttle, express train, subway or Taxi. Taxi is a good choice if you want to get here without any transfer. The campus is gated. There are several gates around the west, south and east side of the campus. 3 gates（the southeast gate、the northeast gate、the west side gate）are for automobiles. It is also very convenient to take subway for your travel. Subway line 4 has a stop at the east gate of Peking University. It is connected with other subway lines, train stations and airport express railway. If you take the airport express railway at the Beijing Capital International Airport, please transfer to subway line 10 at the San-Yuan-Qiao stop, then transfer to line 4 at the Hai-Dian-Huang-Zhuang stop, and then get off at the East Gate of Peking University stop. Having more than 15 lines, Beijing subway could bring you to almost every corner of the city. Here are some information of several hotels on or around the campus. 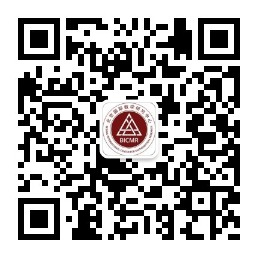 Zhong Guan Yuan Global Village is owned and managed by Peking University. It is mainly used for the accommodation of scholars and foreign students. It is located to the east gate of Peking University campus. The Lakeview Hotel is located on the side of Weiming Lake in Peking University with its spacious and comfortable guest rooms, and a beautiful Courtyard Garden.The Lakeview Hotel is the nearest hotel to BICMR. FX Hotel Zhong Guan Cun is located at Zhong Guan Cun, known as the “Silicon Valley” in China. The hotel is designed to appeal to sophisticated travelers who look for convenience, comfort and service. Find the three hotels' location in the below map.